ForgeFX is a proud simulator development partner of Joy Global Inc., a worldwide leader in high-productivity mining solutions. Joy Global designs, manufactures and services underground and surface mining equipment for the worldwide mining industry. Their line of ProMiner™ Training Simulators allow both new and veteran operators the ability to safely train for the operation of multiple pieces of equipment, removing the risk of costly mistakes and keeping real-world machinery in production. 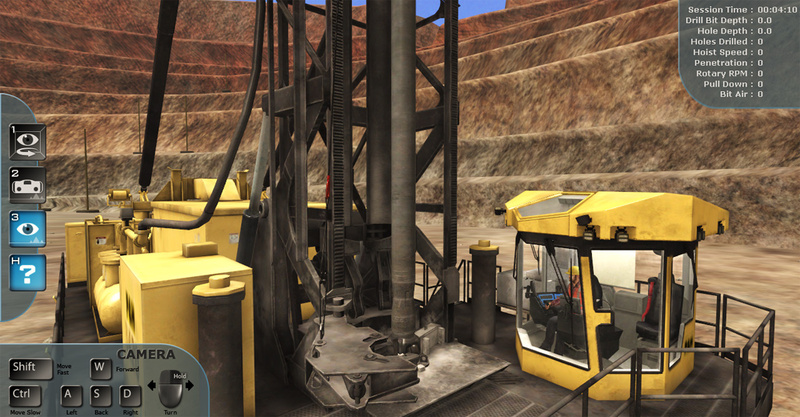 This simulator was developed by ForgeFX for Joy Global’s line of P&H Blasthole Drills, built for the toughest hard-rock and high production mining operations in the world. 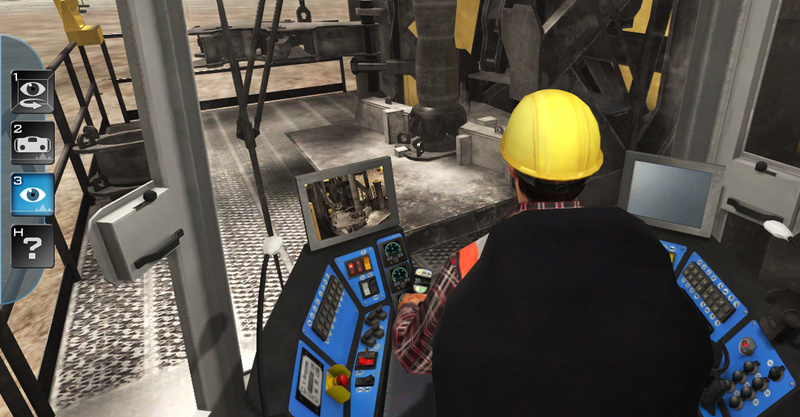 The training simulator teaches people how to operate real-world drills, reduces training costs and associated equipment damage and increases revenue by maximizing drill operator efficiency. Connected to a pair of original equipment manufacturer (OEM) controllers, the simulator mirrors Joy Global’s real-world drill, allowing the operator to learn and perfect every function of the drill, from operating the breakout wrenches, to the pipe racks, to the bit air system. Operators train in a virtual environment where mistakes are valuable lessons instead of costly mishaps. How to raise the mast. How to assemble the drill pipe string. 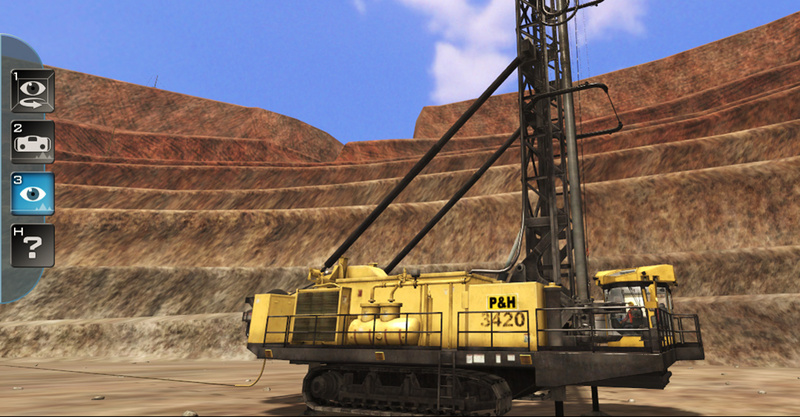 P&H Blasthole Drill Training Simulator developed for Joy Global, Inc.
Blasthole drill operator training simulator. The training simulator quickly and safely trains operators that will have fewer accidents, perform their jobs faster, more productively, and more confidently. With this highly efficient workforce in place, mining operations move more materials in less time, reducing their cost of production, directly increasing their profit. 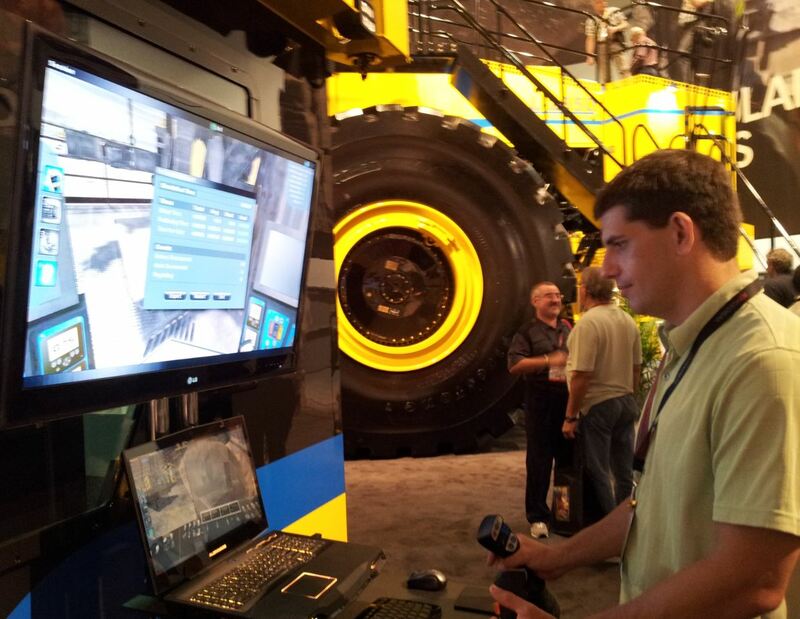 Operating a mining drill training simulator. Thank you for your interest in this virtual training simulator. Please see the Joy Global web site for more information about the ProMiner™ Training Simulators, and for more information on the development of custom training simulators, please contact ForgeFX to discuss your requirements with us.